Cataracts, a leading cause of blindness, gradually cause vision to become blurry or distorted which can drastically impact your lifestyle. At Deen-Gross Eye Centers, our board-certified ophthalmologists can perform safe, precise cataract surgery to improve your eyesight. After cataract surgery, you will no longer suffer from blurred, distorted vision. Instead, you will be able to see much more clearly, and may even be able to reduce your dependence on corrective eyewear. Many cataract sufferers find themselves struggling to complete daily activities and even safely move around. With improved vision, you will be able to have a more independent lifestyle. Many patients find that cataract surgery improves nearly every aspect of their life. Imagine enjoying your favorite activities again, whether you miss reading, knitting, or getting outdoors more often. The cataract is broken up and removed, then an intraocular lens (IOL) is used to replace the natural tissue. 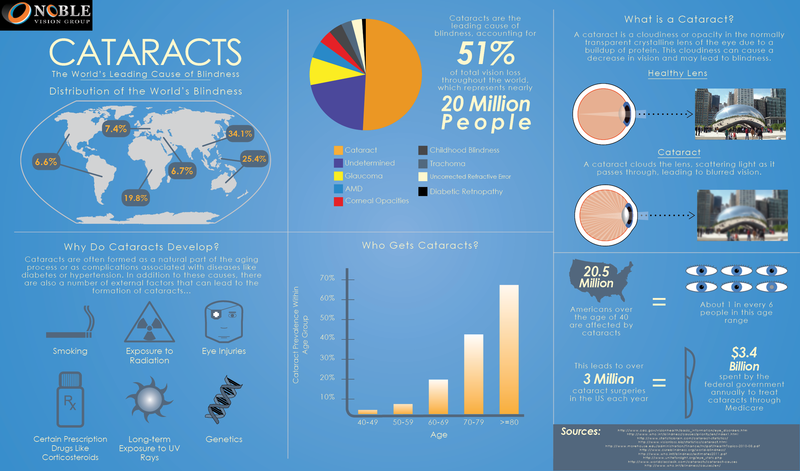 Are cataracts a common vision problem? Does the surgery only address symptoms of cataracts? While the primary purpose of this surgery is to address cataracts, removing the damaged lens and replacing it with an IOL can also correct existing refractive errors. The IOL we recommend will be based on whether you suffer from nearsightedness, farsightedness, or astigmatism. In this way, treatment can completely reduce or even eliminate your reliance on glasses and contacts. Your vision is substantially obscured by cataracts, cannot be sufficiently corrected with visual aids, and detracts from your ability to live life fully. You may find that you increasingly require bright lighting to complete normal tasks, such as reading. In order to undergo cataract surgery, you must be in good overall health or you may be at a higher risk of complications. If your condition has escalated to the point that glasses and contacts are no longer sufficient to help you see, cataract surgery is your only other treatment option. Fortunately, cataract surgery is considered to be an incredibly safe and effective solution. In fact, over 3,000,000 procedures are performed each year in the U.S. Replacing the clouded lens within your eye requires your surgeon to use several advanced tools including a laser or ultrasound probe. These tools allow for precise treatment that prevents unnecessary trauma to the surrounding tissues. An IOL, an artificial lens implant that helps restore focus, is placed in the eye. These innovations transformed cataract surgery. Cataract surgery is an outpatient procedure that takes less than a half hour to perform on each eye. Your treatment will be performed by one of our board-certified ophthalmologists at a medical facility located near our practice. It is important to be well-informed about what to expect before, during, and after cataract surgery, which is why our team focuses on providing patients with comprehensive education. During your pre-surgical consultation, it is important to voice your concerns, ask questions, and discuss your medical history with our vision specialists. By communicating with our doctors, they can develop a completely customized course of treatment that yields optimal results. Local anesthesia is used to completely numb the treatment area and a liquid solution is applied to your eye to dilate your pupil. Small incisions will be carefully made on the surface of your eye to reach the cataract. These incisions will close on their own so they do not require stitches. The probe will then be inserted and ultrasound waves will be applied to shatter the cataract into multiple fragments so they are small enough to be suctioned out. The artificial lens will then be implanted on the top of the existing lens in your eye. Cataract surgery is an outpatient procedure that takes less than a half hour to perform on each eye. Although cataract surgery is an outpatient procedure, our team asks that you relax your eyes for a short period of time at the medical facility immediately following treatment. By doing so, you decrease the risk for complications. Your vision may be slightly blurry immediately following surgery but your eyesight will dramatically improve over the course of your recovery. In most cases, patients continue to see positive, radical changes for up to two months after having cataract surgery. You may experience mild soreness, sensitivity, and itching after surgery. It is important that you refrain from rubbing your eyes because that can cause retinal detachment, infection, and further complications. Our surgeons will continue to supervise your progress as you recover. We require patients to schedule follow up appointments every few weeks so our team can monitor your improvement.